Challenge and engage your students with this wonderful resource! It includes questions to an authentic video about the Plaza Mayor in Madrid. 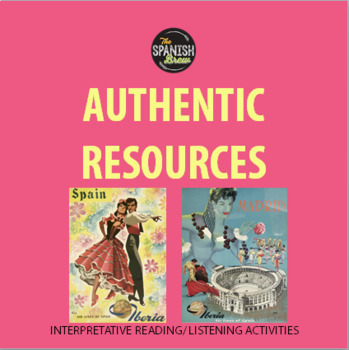 This activity is targeted at Spanish 2 or higher students and will challenge them to extend their knowledge of "comunidad/ciudad" vocabulary to a higher level of analysis. Handout includes a link to the video as well as a QR code. The documents are in Spanish. This activity could be assigned as homework, in classwork, or even as an assessment.